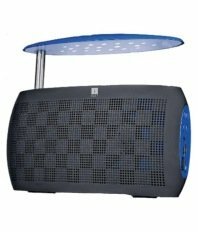 Looking to buy Branded Speakers? Well, Try this iBall MusiLive BT39 Portable Speakers. Amazon is selling iBall MusiLive BT39 Portable Speakers (Black/Blue) at Rs 799 only in a lightning deal. Hurry up and grab the deal now. How to buy iBall Portable Speakers from Amazon ?